...but not much else, continuing my headline. This is part of a series of applications by developer 'Fetisenko', taking major news outlets and (I covered The Verge one last week) 'scraping' their top sections to create a magazine-like card interface for easier and more pleasant casual browsing. 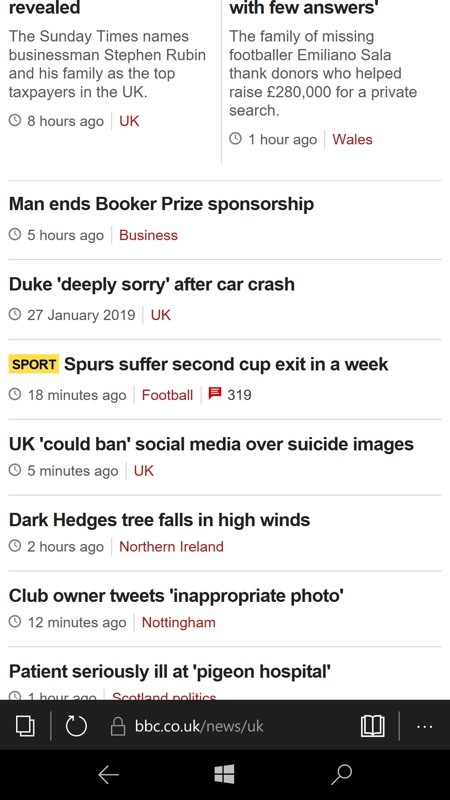 Of course, once you tap through to a story then you're essentially reading the original web page, but the extra standardisation of the top level headlines may appeal to some. The downside? 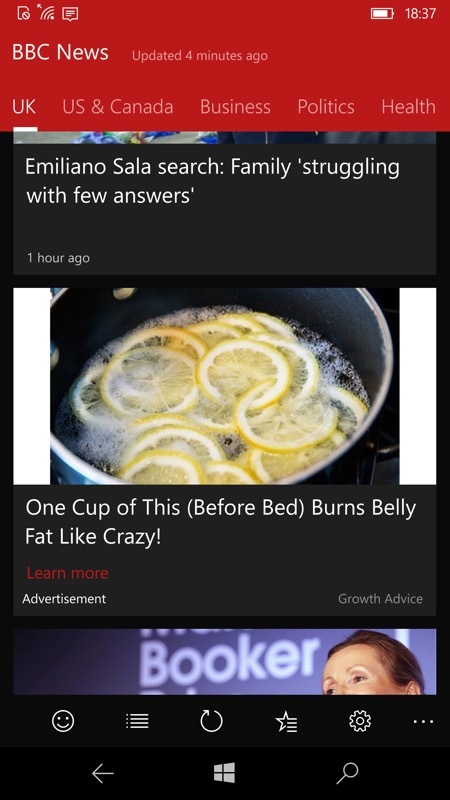 Some 'stories' are actually adverts, which is how the app pays for itself. And there's no way to get rid of ads, even if you were happy to pay to do so. Which seems something of a missed opportunity for the developer. 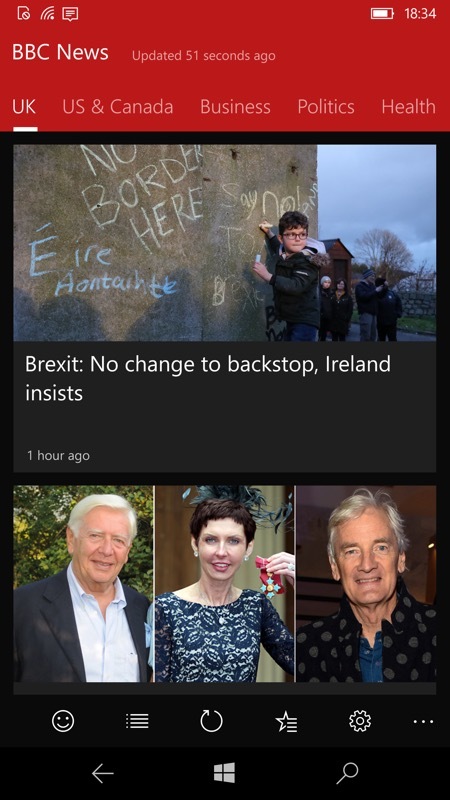 News Reader for BBC News is an unofficial app for BBC News. 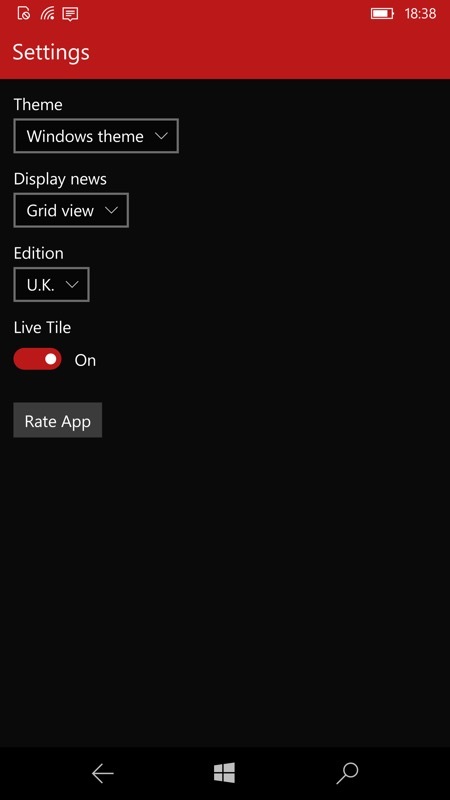 live tile (works on Windows 10 Desktop and Windows 10 Mobile devices only). 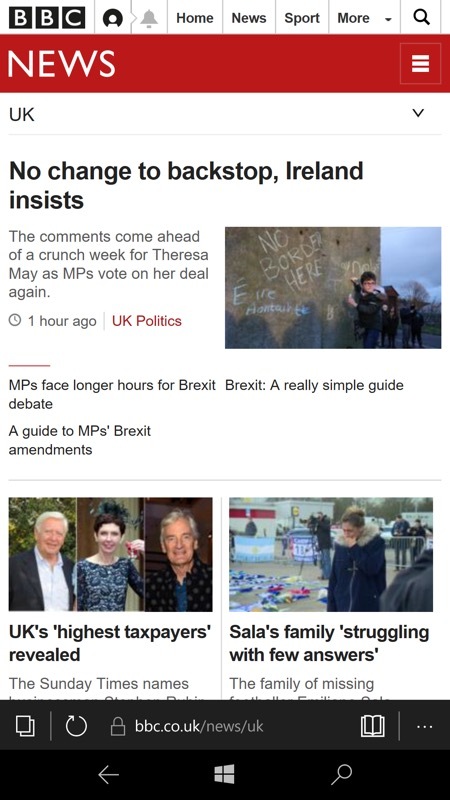 On the left, the BBC site in Edge, on the right, the re-imagined front pages in News Reader for BBC News UWP - and note that you can swipe to switch sections with panorama-style horizontal tabs, etc. Again, on the left are the default text (lesser) headlines, but they get proper magazine style graphics and put inline by the app. Nicely done. 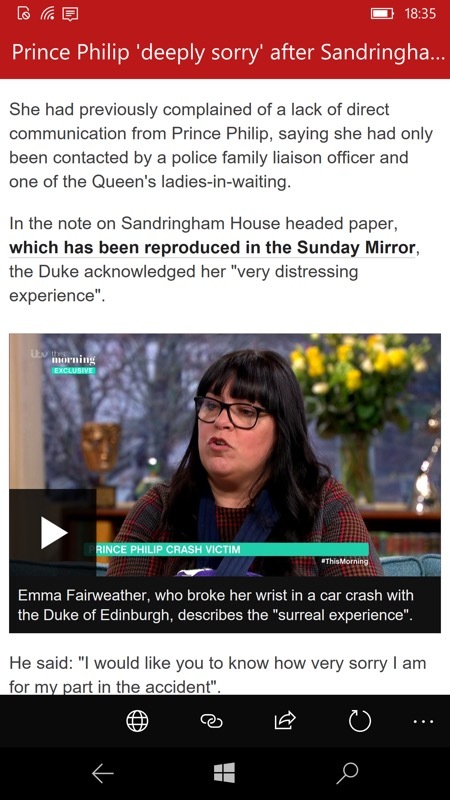 Again, on the left an original story, but (right) once you're into the story in the app then the experience is identical. 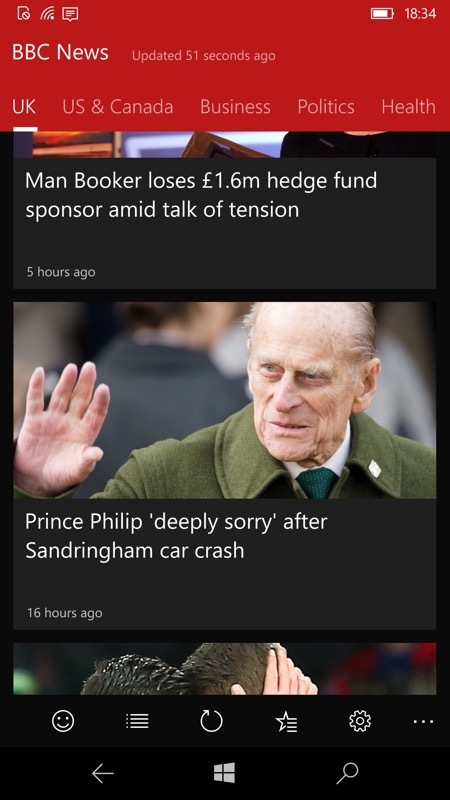 Hidden among the genuine stories are occasional adverts, styled in the same way, and this is a bit sneaky, I think, despite the small 'Advertisement' warning text... (right) You can select which 'Edition' of the site to scrape, and there's also a live tile to bounce through headlines, a nice touch.